We used to think that skin care should be “oil-free” – that oil would clog the pores and cause greasiness and breakouts. With natural & organic plant oils, that couldn’t be further from the truth! Our luxury face oil nourishes, hydrates, heals, and balances the skin, no matter what the skin “type” is. A perfect blend to hydrate even the driest complexion. Reveal your radiant and natural beauty with this healing oil for all types of skin. Your complexion will soon be luminous. Apply a few drops of this luxurious oil to clean moist skin morning and evening. Massage into face and neck for 1-2 minutes. Allow to absorb. Synergistically blended with certified organic oils of Persea americana (Avocado Oil), Prunus armeniaca (Apricot Kernal Oil), Argania spinosa (Argan Oil), Calendula officinalis (Calendula Flower), Enothera biennis (Evening Primrose Oil), Simmondsia chinensis (Jojoba Oil), Rosa canina (Rose Hip Seed Oil), Arnica montana Whole Flower, and Tocopherols (vitamin E Oil). With the purest Essential Oils of Citrus autantium (Neroli), Santalum spicatum (Sandalwood), Pogistemon patchouli (Patchouli), Lavadula angustifolla (French Lavender), and Citrus Limon (Lemon). Avocado Oil — Rich in essential fatty acids, with high amounts of beta carotene, vitamin E, and other vitamins, this oil soothes, hydrates and heals the skin. Argan Oil — A core ingredient in the preservation of healthy skin in harsh environments, this rare and exquisite oil is meticulously expeller pressed from the fruit kernels of the Moroccan tree. It is rich in tocopherols (vitamin E) and essential fatty acids. Neroli Essential Oil — This divine essential oil is produced from the blossom of the bitter orange tree. It takes 100 lbs. of flowers to make 1 lb. of oil. With vitamins, minerals and generous amounts of vitamin C, it rejuvenates and nourishes your skin. The name Neroli is said to originate from the Italian princess, Anne-Marie de la Tremoille. Neroli Essential Oil invokes a feeling of joy and happiness while uplifting your overall mood. Evening Primrose Oil — Contains a high concentration of a fatty acid called GLA (Gamma Linoleic Acid). It is this fatty acid that is largely responsible for the remarkable healing properties of this plant. The other nutrients in this oil are essential for cell structure and they improve the elasticity of the skin. Rose Hip Seed Oil — This miracle oil strengthens the collagen of the skin, repairs scar tissue and broken capillaries, and promotes regeneration of skin cells. 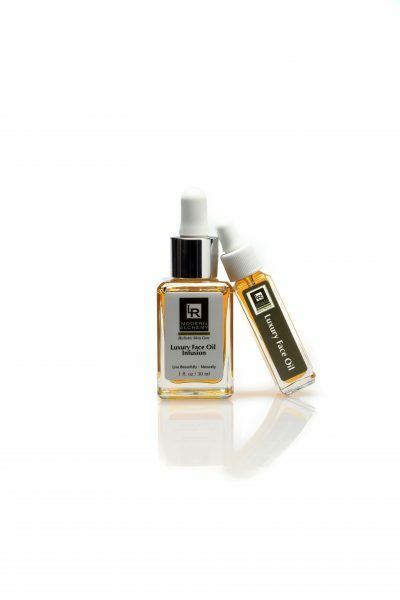 You might imagine that applying oil to your face might make it greasy, but it is not the case with this face oil infusion. After first putting on the rose water tonic then topping with this face oil my face and neck look – well – radiant. I hope LR keeps making this one.